Full moon tonight. I was on my way out the door to derby practice and had to run back in for the camera while the moon was still low behind the trees. 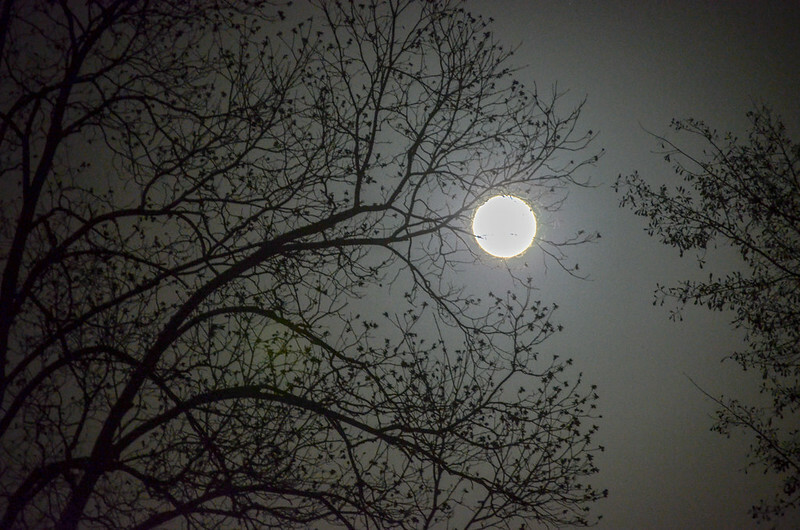 It may not be the biggest, most detailed moon shot I’ve taken but I love the trees in this picture. I always love seeing the moon come up behind them in the winter.